Imam Siddique is an Indian fashion stylist and television personality. 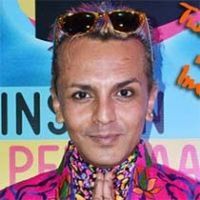 Check out the most updated and latest information about Imam Siddique's on the Internet.We have 1 videos of Imam Siddique including interviews, events, or public appearances.Imam Siddique has over 2 Fans registered on India-Forums.com. We have 25 Television News articles related to Imam Siddique.